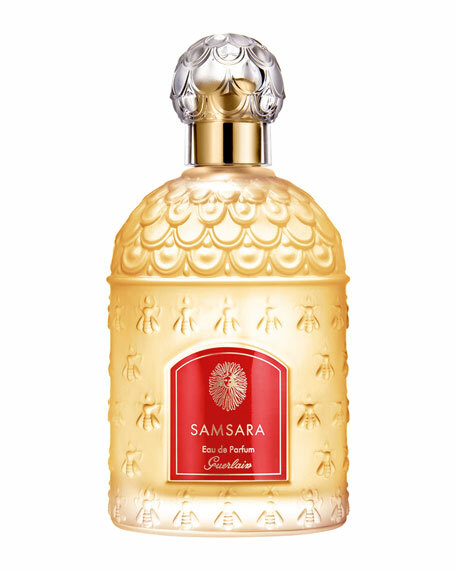 Guerlain Samsara Eau de Parfum, 3.3 oz. GuerlainSamsara Eau de Parfum, 3.3 oz. Embrace your perfume in the mythical Bee Bottle.Designed in 1853 by Pierre-François-Pascal Guerlain for the Empress Eugénie, wife of Napoléon III, this precious bottle is adorned with the symbol of the Empire: the bee, which is now La Maison Guerlain's emblem.